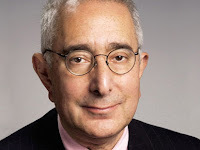 Back in October, I mentioned a piece by Ben Stein that had been circulated around the internet. Unfortunately, his article was combined with an interview of Anne Graham Lotz and several others and with other stuff made up out of whole cloth and then it all was attributed to Stein. Sites like snopes.com are extremely helpful in separated internet myth from what is true. If we are concerned with truth, it is dangerous to pass along stuff you are emailed or stumble across on the web. A lot of it is simply false. Herewith at this happy time of year, a few confessions from my beating heart: I have no freaking clue who Nick and Jessica are. I see them on the cover of People and Us constantly when I am buying my dog biscuits and kitty litter. I often ask the checkers at the grocery stores. They never know who Nick and Jessica are either. Who are they? Will it change my life if I know who they are and why they have broken up? Why are they so important? I don't know who Lindsay Lohan is, either, and I do not care at all about Tom Cruise's wife.